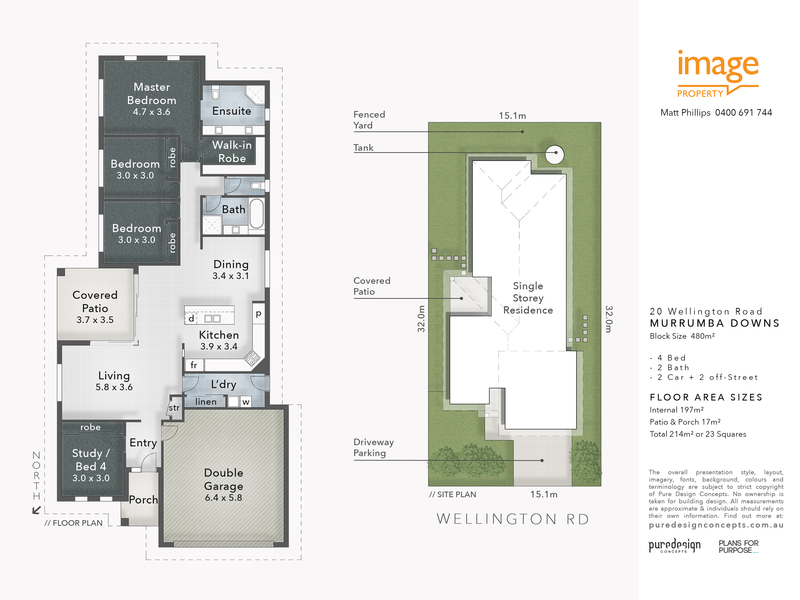 20 Wellington is in the North Quarter Estate of Murrumba Downs, you’ll find your located in a quiet backstreet of Murrumba Downs whilst never keeping too far from the action. The property was built in 2010 and has had 1 lot of occupants for the duration. North Lakes Shopping Centre is a total 6 minutes drive from your new home where you’ll have everything you could need at your fingertips. Transport is readily available with Bus Stop (Brays Road near Burnett Dr) providing access to bus line #679 to North Lakes & Murrumba Downs a total 8 min walk from your front door step & Murrumba Downs Train Station a 2 min drive. * Modern kitchen with ample storage to cupboards and drawers, stainless steel appliances inclusive of oven, rangehood, dishwasher and gas cooking. Ample bench space with island bench doubling as breakfast bar. Well sized fridge cavity. * Well positioned lounge room, with air conditioning and ceiling fan. *2nd separate tiled living area with ceiling fan. * Ensuite with single shower cavity, storage to vanity and his and her basins. * 2nd Bedroom with build in wardrobe and ceiling fan * Main bathroom with single shower cavity, storage to vanity and bath tub. To make a time to view this stunning property please call Matt Phillips on 0400 691 744.